We brewed without water today. But your friend may say: "Surely that's impossible, isn't water one of the main ingredients of beer?" As it happens your friend would be right. We didn't brew entirely without water, but we did brew without mains water for most of the day. Having recently moved to brewing five days a week we were not best pleased when a man came round to say our water supply would be cut off today, but at least we had some warning. We were able to fill up the Cold and Hot Liquor Tanks, as well as every other container we could find, before the water was switched off at 9.30 am. And though I did feel a cold sweat coming over me a few times it all worked out OK and we managed to get by until the mains supply returned in the afternoon. As earlier in the week we'd got by with the electricity cut out to everything except the heating elements and the pumps we seem to be getting quite good at this minimalist brewing malarkey. I hope I don't have to make a habit of it though! My latest piece of brewing research had a couple of inspirations. In the always excellent Radical Brewing a traditional ale from Finland called Sahti gets a mention. This is an unboiled ale strained through juniper branches, commonly made made at home using bakers yeast and a proportion of rye malt. The second inspiration came from closer to home. Not having any juniper branches I went to my local home brew shop to get some juniper berries instead. Quite coincidentally, over a gin and tonic that afternoon, the lovely Lisa piped up that a beer flavoured with juniper could make a refreshing summer drink. It occurred to me that tweaking my sahti would be just the ticket. As I didn't want to make murky shite that would go off quickly I'd already decided I was going to boil my sahti. To make it refreshingly summery I dropped the gravity down to 1.040 (making it around 4% ABV) and included some Bobek hops, added after the short boil, for a bit of lemon flavour to go with the juniper. As the hops and berries were steeping in the hot wort an incredibly spicy smell came off, which didn't really come through into the finished beer. Lacking any bittering hops it's light and refreshing with a hint of lemon, but without the astringency I associate with rye beers. My mum was quite taken with it when she visited the brewery but if I was to do it again I'd probably beef it up, maybe try it as a spicy Winter drink rather than a refreshing Summer drink. We fulfilled a long held ambition to get to the Surrey Oaks on Sunday. 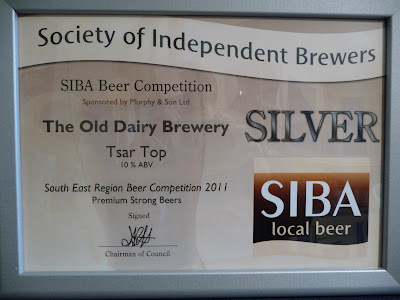 It's the winner of many CAMRA pub of the year awards and it didn't disappoint. 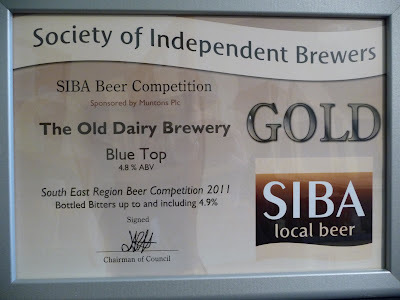 A suitable old fashioned look, an interesting range of well kept beers and a friendly welcome. We'll definitely be going back to this one. In these dark times when boozers are always being put upon I was pleased to hear some encouraging news last week. A kid we had in for work experience said he'd been taught brewing at school, and they'd even made some beer. I thought he must have a cool teacher but it turns out it's part of the Biology GCSE curriculum. It sounds like an excellent way to make school more interesting to me, particularly as they got to drink the beer too. 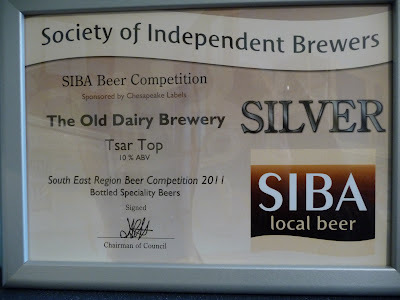 I called in at the SIBA SE beer festival in Tonbridge yesterday. As soon as I arrived I got roped into helping with glass cleaning. And once again I was driving, which limited my alcohol intake to halves of Bingham's Twyford Tipple and Westerham's Audit Ale. But do you know what? 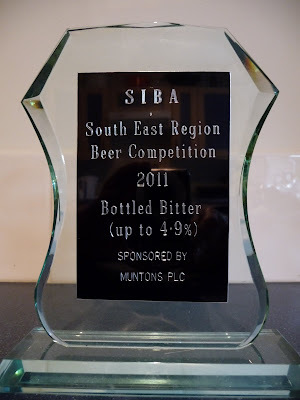 It was one of the most enjoyable beer festivals I've been to in ages. It's a tradition, or an old charter, or something that when I come back from holiday something will have gone horribly wrong at the brewery. The best example of this (if it can be called best) was when a power surge blew up my computer and knocked out all the electricity. This time though, as my phone had remained silent during our trip to the lake district, I was quietly confident. When the lovely Lisa wondered if anything had happened I reassured her it must be fine. How little did I know. I got my first inkling that something was wrong when I pulled into work and saw we'd acquired a hire van. Our van was parked along side, but I know it's a bit old so I figured it must have broken down. 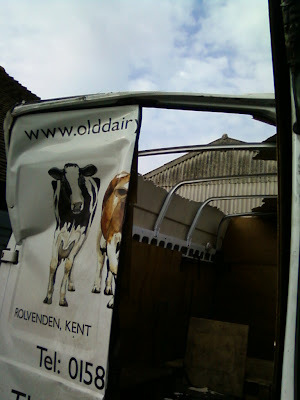 When I saw the back of the van I realised the situation was a bit more serious. Two: if you're in a high van don't drive under low barriers. Not quite as good as when we did back to back brewery tours in Masham* but we managed to go two brewery taps in one day when on our last research trip. 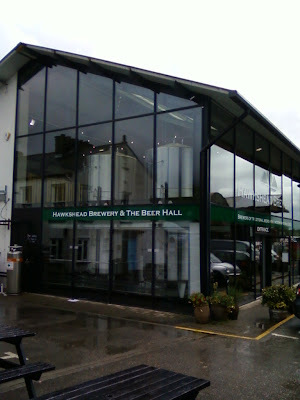 Hawkshead brewery visitor centre in Stavely was our first port of call. It's a modern, open plan place with a couple of hefty beer tanks on display. There's a bar and bottle shop with 'beer tapas' available eat with your pint. We didn't stay for long, but I had time for a scotch egg and very good it was too. As well as their own bottled beers for sale there's a selection of foreign beers too. We stocked up on some of Hawkshead's finest but were slightly annoyed to find them available cheaper in Booths. 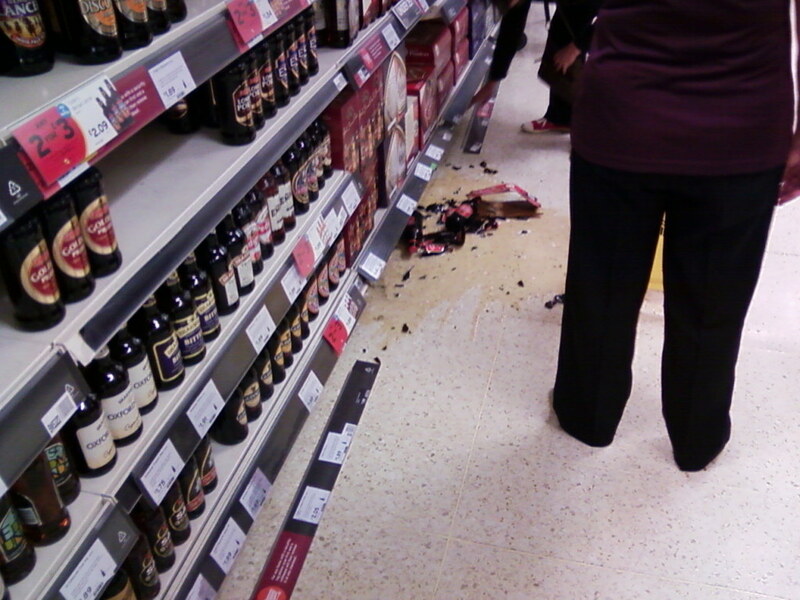 Why do most breweries charge more for their beers when you buy it direct than what you can get them for in the shops? 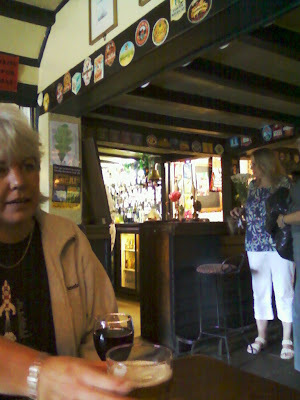 We also got to the Drunken Duck, home of Barngates brewery on that day. It's a very posh looking pub which surprised me, as Barngates cartoonish pumpclips have always looked a bit cheap to me. We sat outside as the sun was out and there was a nice view. Can't remember what I had, but it was probably named after one of their dogs. I've found Barngates beers a bit hit and miss in the past, but never been sure if it was due to the pub or the brewery so it was good to see the beer was on form at their brewery tap. Last week the lovely Lisa and I were mostly drinking in Coniston. Mainly we stuck to the two pubs in the good book, particularly as the dreaded word 'Robinsons' was displayed on the outside of the others. Our favourite was the Sun Inn, it has a fine range of reasonably priced ales, a beer garden with a great view, and good food. Generally we went with Cumbrian Legendary Ales Loweswater Gold. It's not our favourite of the brewery's beers but still good stuff and in the absence of Langdale and Grasmore we had to make do. The other tick in Coniston in the Black Bull, home of Coniston Brewery. It's only a short walk from the Sun but is on the main drag so looked busier. They had a good range of beers here which we did our best to work our way through. The cask beers weren't always on top form and the first time we tried Old Man ale it was definitely not right, which was a shame as we climbed the mountain on this trip. We weren't taken with their (proper real?) keg lager either, it had less flavour compared to its bottled form. I suppose it's no real surprise that keg lager isn't up to much. But having said all that the Black Bull is a nice pub and we had more than a few pints in it so it definitely has its good points. We did also trek a bit further to continue our researches. On a damp day we called in at The Church Inn in Torver, I think we had more Loweswater Gold in here.It's a pub with an excellent old fashioned look that I approve of, complete with a much needed log fire to dry us out. This is not, as might be expected on a beer blog, a post about having a good time with a plentiful supply of Thornbridge beer. This one is about climbing. On Saturday I got up Kipling Groove (HVS 5a), a classic route on Gimmer Crag in Langdale that I've been keen to climb for years. It was first climbed by Arthur Dolphin, who called the route Kipling as it was "ruddy 'ard"! I wouldn't disagree, as the top pitch was strenuous and sustained. Traditionally a celebratory beer should have been had at the ODG but it was getting late when I got down from the crag and I wanted my dinner. Rest assured though, a pint or three did find its way down my neck that night.